Apply for General Practice (Round 1 Re-advert) from 10am Tuesday 26 February 2019 at the GPNRO website. Applications close 4pm Thursday 14 March 2019. General Practice offers a career with variety, flexibility and challenge. GPs work in teams to provide holistic and continuing care for patients and their families across a range of settings - urban, rural and in more remote communities. GP training in Scotland reflects this variety with posts available in large cities, small towns, and in rural locations; all in a country world famous for its scenery and culture. To find out what its like as a GP trainee in Scotland, read this first hand account from Dr Alex Thain. What are you waiting for? Apply now for General Practice at the GPNRO website. The GP National Recruitment Office (GPNRO) (external link) is the administrative body responsible for co-ordinating the nationally agreed and quality assured process for recruitment to GP Specialty Training Programmes in Great Britain and Northern Ireland. If you wish to apply only for General Practice, the GPNRO Website (external link) has all the documentation and guidance you require. You do not apply to General Practice Training Programmes via the Scottish Medical Training website. However, if you wish to apply to other specialties in Scotland, in addition to General Practice, then you must do so via this website, or via the relevant recruiting website noted on the How To Apply page. Please click on the link below for the 2019 GP Training brochure. For further information on training as a GP in Scotland and for details of the programmes on offer, please visit our Programme Information section. For vacancy information, please view the GP Recruitment section. Candidates must preference all programmes they wish to be considered for within the designated time-frame on the Oriel system. Preferences expressed in any other way (e.g. verbally or by email) or after the deadline will not be considered. Applying From Another Medical Specialty? You may be able to shorten your GP training by six months through the Accreditation of Transferable Competences Framework process. Follow this link for more information and ensure that you add this to your application if you are eligible. Some posts in this round of recruitment are part of the Scottish Enhanced Targeted Recruitment Scheme (TERS) and have an additional payment of £20,000. 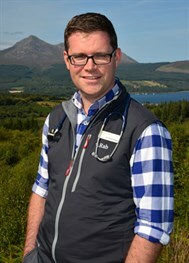 Watch Dr David Hogg, a GP on the Isle of Arran, describe his life as a GP (RCGP video). Training in Ayrshire & Arran is in the Scheme. This page was last updated on: 12.02.2019 at 11.09.